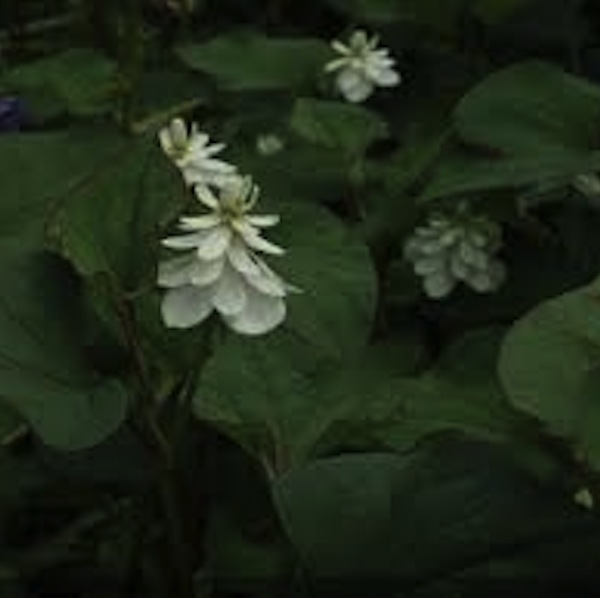 A distinctive plant for cool moist soil or pond-side. Elegant heart-shaped leaves shaded with purple are strongly scented of orange, while the pure white double flowers are borne in cone-like clusters. 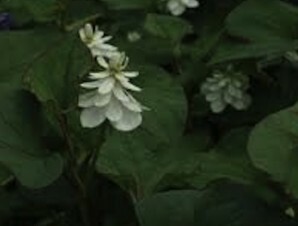 A rampant spreader if there ever was one, but its merits include aromatic and attractive foliage and plentiful double white flowers in Summer. Will grow just about anywhere. Be sure you really like it before you plant it. Categories: E-H, Featured Plants, Plants A-Z, Plants by Season, Plants In Situ, Spring, Summer, The Bog Garden and Bank.